One peak-hour evening, as I waited in a long queue for some driver from Didi to accept my request to take me home, I spotted an old driver of a yellow and green Beijing taxi, smoking and waiting for a passenger. For some unknown reason I changed my mind and cancelled my Didi request and hopped into his taxi. But I soon regretted my decision to leave a potential luxury express Didi car. On top of it, his attire and body language seemed a bit strange to me. He asked me something in Chinese but I pretended to be busy with my mobile. After a while he again asked me, "Where are you from?" "India" (one of the few sentences I know how to say in Chinese). He suddenly left the steering wheel and clapped. "China and India are friends," he announced. Then he started playing with his mobile and a familiar song on his mobile woke me up. Most of the older Chinese generation is familiar with this Raj Kapoor's 1951 popular Indian song called "Awaara hoon" (a wanderer but still happy even though nobody is waiting for me). He started humming the song and I couldn't restrain myself from providing the lyrics. I can't believe I was doing something like that. We were really friends, from two different nations, maybe just musical friends on a short road journey. He kept entertaining me with different old Indian songs and brought the singer in me to life. Back home I researched and found that Indian songs were very popular once upon a time. The new Chinese generation may not be aware of this. The second popular song is "Jimmy Jimmy" from a 1982 Bollywood musical drama film, which is often performed in some recent Chinese reality shows. By a strange coincidence, last week in a Sanlitun bar, the bartender started chatting with me and singing another popular Indian song, "Aankhen khuli ho ya ho band" (whether eyes are open or closed, I just see her whom I love)from an Indian movie released in 2000. There may be a few more Indian songs known better to Chinese music lovers. Well, the Chinese love singing and Indians love both singing and dancing. No wonder, one can watch Chinese artists dancing to Bollywood songs quite often on Chinese talent shows. I always thought until now that only Aamir Khan Bollywood movies like Dangal (2016) are tremendously popular in China but it was a revelation that India music preceded this. Indian cinema resonates with the Chinese audience because they connect emotionally with the common themes and characters in daily life. Art, in any form, can indeed be a great unifying factor between the two neighboring nations that both share around 5,000 years of cultural history. 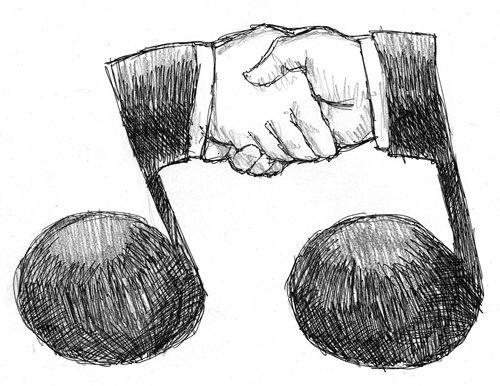 Hopefully the two great nations can leverage the power of music, cinema and dance to boost their relations.